Breakouts don’t only happen during puberty. Adult acne is real and it pops up in different places than the teen kind - It typically appears on the jawline, chin, and neck, as opposed to the forehead, cheeks, and nose. It all boils down to one reason: hormonal fluctuations. Whether brought on by lifestyle (stress, diet), PMS, pregnancy, or polycystic ovary syndrome (PCOS), the result is the same—an increase in cortisol (also known as the stress hormone), which gets broken down into testosterone, a male hormone that pumps excess oil through your pores. When that happens, it causes a break-out. Having acne problems as an adult can be tough as cell turnover slows with age, adult skin can take longer to heal than teen skin. Redness can also last longer, and acne can be complicated by sensitivity, dehydration and pigmentation issues. We put together 5 simple steps which can help you with your acne woes. 1. Sleep at least 8 hours each night. Sleep came out top of our list because it is free and its numerous benefits proves to be nature's most powerful beauty treatment. You've probably already noticed that when you skimp on sleep, it shows on your face almost immediately. Not only do you get baggy dark circles around your eyes, it may actually cause an acne breakout. Without you realizing it, your body repairs itself and goes through all sorts of hormonal and metabolic changes happen when you sleep. A lack of sleep can disrupt those processes, giving you an agitated skin the next day. 8 is the magic number of sleep hours you need to reduce excess cortisol (stress hormone) and let your skin regenerate. Many hair, face, and body products are also most effective overnight because they penetrate better when you're at rest. The top-rated Overnight Clearing Gel by Dermalogica is one of such products. This nighttime gel is targeted at acne-prone skin and prevents future breakouts. Smooth over skin after cleansing at night: The Salicylic Acid sloughs off pore-clogging skin cells to inhibit development of further breakouts, while naturally-antiseptic Tea Tree Oil soothes while you sleep. In short, zits magically disappear overnight when you have this on while sleeping. Start getting your beauty sleep tonight and wake up to a clearer complexion. Wash your face thoroughly to give your skin the night to breath, especially if you wear make-up during the day. We recommend double-cleansing to ensure that make-up is completely removed. When make-up is not removed properly, your pores are get clogged and result in breakouts. Choosing the right cleanser is crucial. As a first step to your double-cleanse regimen, use top-rated Precleanse by Dermalogica to melt away layers of excess sebum (oil), sunscreen, make-up, pollutants and products that build up on skin. This also allows your next cleanser to penetrate even further for professional cleansing results. Follow with Clearing Skin Wash from the Dermalogica MediBac series to ensure a deeper cleanser, eliminating all traces of bacteria on your skin. For more information, consult our skin specialist to help you determine which cleansers suit you. Cleaning makeup brushes regularly, washing pillowcases weekly and disinfecting cell phones daily are some other ways to improve your skin hygiene. I know, it is one of our top 10 guilty pleasures but chances are that we’re doing it wrongly and causing the acne to spread to surrounding healthy pores, or introducing new bacteria onto the skin through the fingers. More often than not, our skin becomes more red and inflamed from the picking, taking longer to recover. Worse, it may even lead to permanent scarring. If you have to pick, either learn how to do it the proper way or go for a facial treatment so that the well-trained estheticians can pop them for you safely. If you’re unsure if a salon is good, read reviews or try it once first before signing up for packages. Well-trained estheticians sterilize their hands or wear gloves and lance a pimple with a sterile needle, then remove the contents with an instrument called a comedone extractor. Antiseptic lotion is also typically applied after the “extraction” to kill harmful bacteria. The next time you look into the mirror and find a zit staring back at you, think twice before you pop it. It may be best to just let it run through its life span. 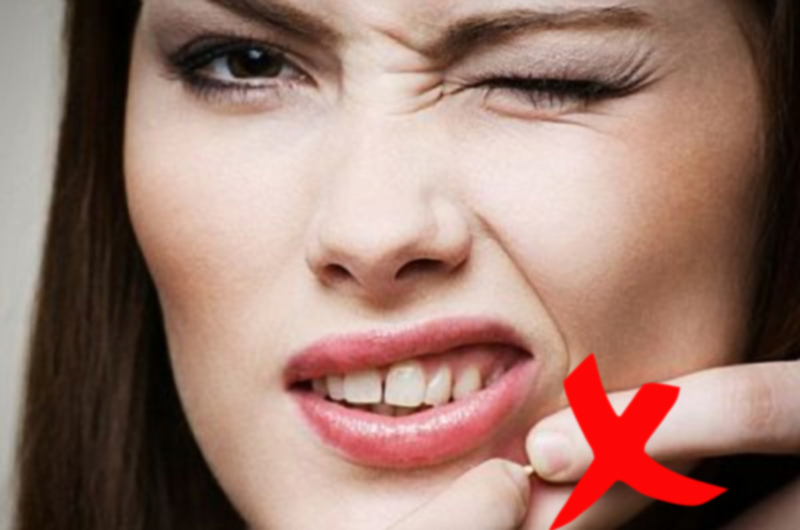 We know that going out with that annoying zit can be troubling. That’s why we recommend that you use Concealing Spot Treatment by Dermalogica on those large and obvious zits. It will help conceal and clear breakouts upon contact. It contains sulfur and zinc oxide which eliminiates breakout-causing bacteria while clearing excess oil and congestion in the follicle. 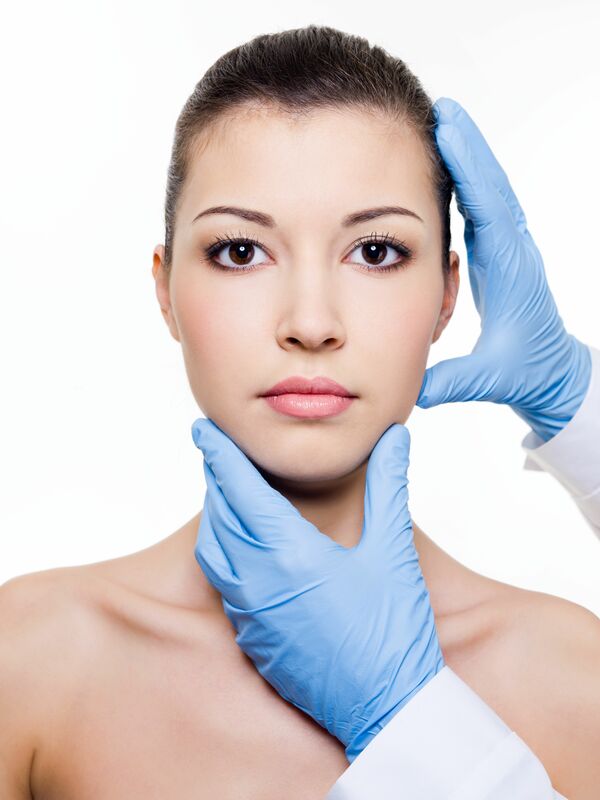 Studies have shown that acne improves when the patients' hormones are stabilized through a low-carbohydrate diet. Avoid carbohydrate-rich foods such as white bread, chips and white potatoes; "They raise blood sugar and insulin levels, another male-hormone-boosting process that may lead to breakouts," explains Glenn Kolansky, M.D., a dermatologist in Red Bank, New Jersey. Think of it this way, a low-carbs diet will not only treat the acne but also give you a slimmer waistline. Kill two birds with one stone, so why not? We hope this article has given you some helpful tips to getting clear skin. Let us know what you think! If you’ve tried all above methods and they still fail, then perhaps it’s time to see a doctor. Your doctor may prescribe an oral contraceptive to help stabilize hormone levels especially if your zits come out to play a week before your period. To help your acne subside and heal, your doctor may prescribe topical Vitamin A (to reduce the amount of oil released by your skin) and/or antibiotics (to kill bacteria and reduce inflammation). As a last resort, doctors may prescribe Accutane (a drug used to treat severe acne). It is effective but comes with dangerous side effects like birth defects which makes it unsuitable for pregnant women. If you’re suffering from adult acne, have patience. It might seem like zits appeared overnight, but most treatments won't make them disappear overnight. With persistence, though, you'll eventually get clear skin. If you were able to get rid of your acne, share your story with us so that others can benefit from it too!